It’s been two weeks since we launched the “new” News and although change is never easy, we’re pleased with the overall transition. We’re also grateful to our readers for their gentle guidance and questions as we fine-tune the system. From a programming perspective, the biggest change is to our search engine. From single word searches, we’ve advanced to full sentence searches that allow you to find an exact title, or match words within a string. Some of you have asked about the seven day preview that allowed jumping back through a few days of headlines—it’s still there, but now you can jump back to a specific day in time (or all the way back to the 2012 launch of the on-line Frog!). Look for the calendar widget just under our Sponsor logo box on the right side of the page. Alternatively, you can toggle backward one day at a time by clicking the green date with an arrow pointing to the left, just above the Forestry section. Others have asked about filtering the news by category or region. This is now on the right side of the page under the calendar widget. The stories will flow in by the date we added them (which may not look like a true chronological order due to the discrepancy between when a story is originally published and our posting of it). The biggest difference here is that this filtered list goes back more than just one day. The new system also allows us to place hot-links in the ‘Today’s Takeaway’, allowing readers to quickly jump into a headline that catches their attention, rather than scrolling down to find it. Our goal is to make your reading experience as efficient and enjoyable as possible—so feedback is encouraged! As Canada, the U.S. and Mexico renegotiate the North American Free Trade Agreement, the Union of Quebec Municipalities (UMQ) sent letters to 100 U.S. senators Wednesday urging them to settle the softwood lumber dispute. The vice-president of the UMQ and mayor of Drummondville, Alexandre Cusson, said he hopes the file will be settled quickly. “You have to be realistic — I do not think it will happen tomorrow, but we could get there quickly,” he said in an interview with Presse Canadienne. The municipalities chose to approach U.S. senators because they have “influence on the file,” according to the UMQ, which sent a delegate to Washington in May. While they are influential, they would be uninformed about the particular elements of Quebec’s forest system, said Cusson. Forest Economic Advisors LLC recently completed the purchase of International Wood Markets Group (WOOD MARKETS), Vancouver BC. With this acquisition, FEA welcomes Russell Taylor to its team of the industry’s top analysts and adds a number of the industry’s best sources of global information… The purchase is a cornerstone of FEA’s plan to deepen its coverage of developments in wood markets outside of North America. FEA Principal Paul Jannke said “the WOOD MARKETS global timber and lumber cost benchmarking database and on-the-ground intelligence on China combined with Russ Taylor’s international contacts and knowledge will provide us with the capacity to significantly expand and deepen our coverage of the global wood products market”. 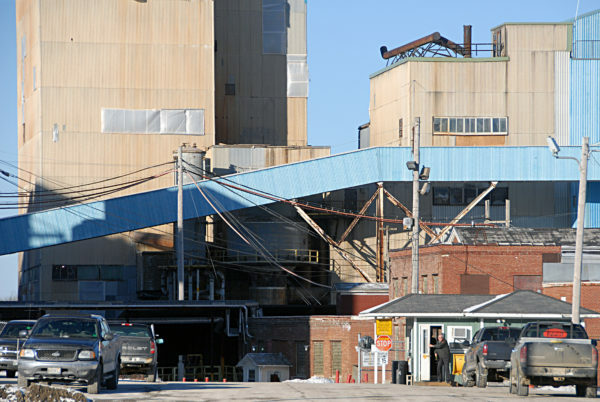 The bankrupt Lincoln Paper and Tissue mill has picked the Portland industrial real estate brokerage NAI The Dunham Group to begin marketing its 240-acre parcel bordering the Penobscot River in Lincoln. …Town officials voted to begin investigating whether they could put around 262 acres of the property into the federal Superfund program, which would begin a decades-long cleanup process under the U.S. Department of Environmental Protection. 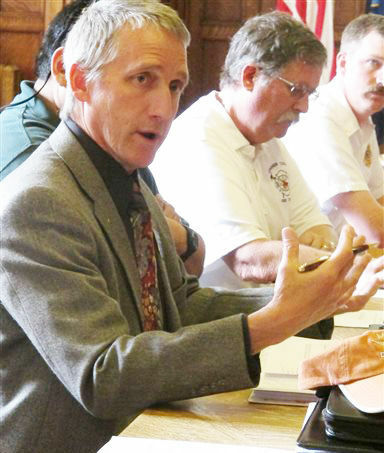 The town has sought to set aside a 90-acre plot that it says could be decontaminated sooner and potentially redeveloped for biomass energy production, light manufacturing or wood products businesses. Georgia-Pacific LLC announced today that it has reached an agreement to sell its pine chemicals business to Ingevity for $315 million, including certain pine chemicals-related assets at the Crossett, Arkansas plant. The acquisition is subject to regulatory clearance and Ingevity and Georgia-Pacific expect to close on the transaction in late 2017. Separately, Ingevity will enter into several contract manufacturing arrangements for oilfield and mining products currently produced at other Georgia-Pacific facilities. The parties will also separately enter into a 20-year, market-based crude tall oil (CTO) supply contract. There are lots of reasons to like on-farm forestry at the moment. It is making good money for harvesters, the market is strong, it’s doing its bit for the climate and it is another income stream for farmers seeking the income protection possible through diversification. It can record a better dollar-per-hectare return than most other uses of agricultural land – especially in hill country – and the export market to China is being helped right now by lower shipping costs and a favourable NZ dollar currency rate. The demand is not just for logs. New applications for felled product are opening up new opportunities. The current building boom across the country is diverting product as well. Fibria expands its annual pulp production capacity to 7.25 million of pulp. Fibria Celulose has announced production start-up of its new pulp line at the Três Lagoas pulp mill in Brazil, on 23 August. The new production line, which is said to be the largest in the world, has an installed capacity of 1.95 million of bleached eucalyptus kraft (BEK) pulp and has boosted the production capacity at the Três Lagoas mill to 3.25 million t of pulp. Following the start-up of the new production line Fibria Celulose’s pulp capacity amounts to 7.25 million t.
One of Western Australia’s oldest timber towns has been thrown into limbo, with Nannup’s jarrah mill laying off half its workforce. About 30 people are expected to have their jobs axed in the restructure which was announced to staff on Wednesday. 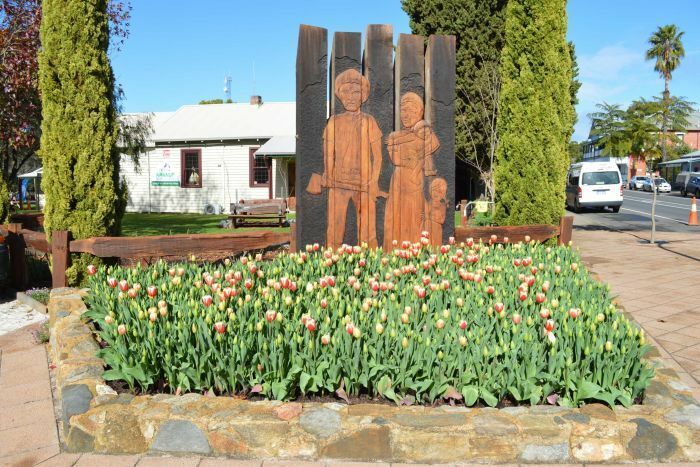 In a letter sent to employees, Nannup Timber Processing (NTP) said the situation was ‘regrettable’ but was brought about by many factors out of its control. Those reasons include the cost and quality of the jarrah being processed and a declining demand for its products in the current economic climate. OTTAWA, ON — The Sustainable Forestry Initiative Inc. (SFI) announced today that Structurlam is the first Canadian manufacturer of cross-laminated timber (CLT) to be certified to the SFI 2015-2019 Chain-of-Custody Standard. Structurlam blends the expertise of wood science with the ingenuity of European fabrication to produce mass timber products including CLT, the next-generation of engineered wood products. Structurlam has manufactured CLT for six years and supplied the product to over 350 projects in North America. Extensively tested, the product has vast applications for construction. Eagle Point Mayor Bob Russell can’t help but feel slightly optimistic when he looks at the blackened skeleton of his Butte Creek Mill along Royal Avenue. …The fact that anything still stands is a testament to the craftsmanship that went into the building, and is part of why he is optimistic today. “It’s still here because it was built the way that it was,” said Russell, who added during a recent tour of the building that the national Timber Framers Guild has vowed to help rebuild the historic mill. …A member of the Timber Framers Guild for a decade, Hunter said his immediate thought after the mill fire was that the guild would be the best match for the historic site. At first glance, it’s hard to imagine that this gorgeous light-filled building was once an uninspiring concrete monolith. It’s a testament to the architectural might of Perkins + Will, which transformed the 1940s military warehouse in San Francisco into the LEED Gold-certified Bay Area Metro Center. Reclaimed timber is used throughout the interior to lend a sense of warmth to the concrete structure. Wood rails were repurposed from the building and nearby sites as was the timber used for stair treads, countertops, and wall finishes. Splashes of greenery enliven the building including a tree well on the sixth floor, garden patio on the eighth floor, and a landscaped garden outside the main public hearing room. Since the first one was completed in Chicago in 1885, skyscrapers have been constructed with steel and, more recently, reinforced concrete. Now a trans-Atlantic team wants to make one supported entirely by wood. In a 10-year collaboration that began in 2016, academics from the University of Cambridge in England are studying the limits of available, locally sourced timber materials in the construction of a high-rise they’ve dubbed the River Beech Tower. …Leading the project is architect Todd Snapp, a principal at Perkins + Will, who is designing an all-wood building on a scale that’s never been done before. …The most sustainable building materials tend to be derived from plants. Timber is an obvious example, as is bamboo. But there is another fast-growing crop that makes an excellent building material. This plant’s woody fibres can be mixed with a lime binder to make a natural concrete that is lightweight yet has good thermal mass; it is highly insulating, resistant to pests and mould, has good acoustics and moderates humidity. …The drawback is that cultivating this greenest of building materials could land you in jail. The plant is hemp; scientific name Cannabis sativa. …Almost any house that can be built with brick and block could equally be built with hempcrete (and a structural frame). 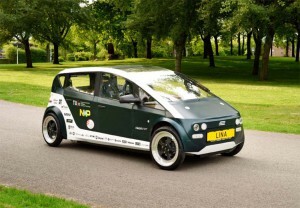 Will Your Next Car Be Made of Wood, or Even Sugar Beets? In their push to make cars lighter and more fuel-efficient, automotive researchers have been looking for green – and affordable — alternatives to the steel used to make most of today’s vehicles. A growing number of products are being assembled out of lighter aluminum and even super-strong carbon fiber, though cost and manufacturing challenges have largely limited the use of those materials to luxury and high-performance vehicles. But some researchers are taking a tip from industry pioneer Henry Ford who often used recycled wood for part of his legendary Model T. …While Kyoto isn’t the only place where the use of wood-based fibers is being developed, researchers there claim their process cuts costs by as much as 80 percent. Woodlands County Council received an update on the progress of their 2016-17 Mountain Pine Beetle Plan at its Aug. 15 meeting. 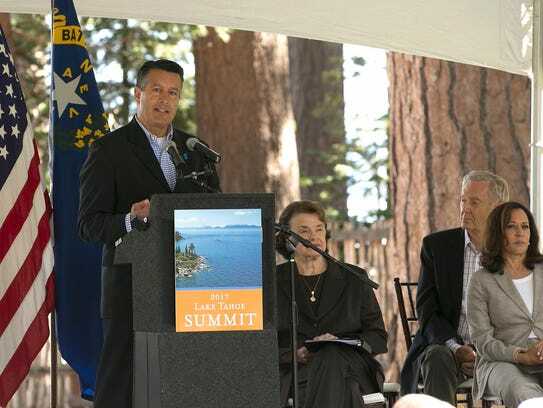 The program was first initiated in 2006 in the County to prevent the beetles from attacking trees and promote awareness, administration said. Woodlands County Mayor Jim Rennie called the program a “fantastic mitigation plan.” “It’s a combination of the province and local industry in the area and the communities. …Funds for the local mountain pine beetle program were provided by the provincial government’s Mountain Pine Beetle Municipal Grant, totalling $19,218.57, of which $17,746.16 was spent, according to County administration. Mountain bikers will have access to 1,000 hectares in the Doumont trails area thanks to a new arrangement between the Regional District of Nanaimo, Nanaimo Mountain Bike Club and TimberWest. The three announced the signing of a four-year access agreement Tuesday, which will see TimberWest providing access to its private forest land for non-motorized recreational use. …The deal will also see a continuation of the Regional District of Nanaimo Biosolids Management Program, which sees treated organic material from municipal sewage treatment used as fertilizer on TimberWest land. Residents of Youbou and the surrounding region are invited to a town hall meeting with TimberWest and the Ministry of Transportation and Infrastructure on Aug. 28 about plans to construct a bypass route around Youbou Road for logging trucks. Klaus Kuhn, the director for Youbou with the Cowichan Valley Regional District, said TimberWest, which runs a number of logging operations near Youbou, is considering building a bypass road for logging trucks in an effort to deal with ongoing dust problems on Youbou Road. Woodlot owners in Nova Scotia are keeping an eye out for a bug that makes it impossible for them to sell the hemlock it infests and kills. The Canadian Food Inspection Agency confirmed earlier this month the arrival of the hemlock woolly adelgid, a regulated pest, in three counties in southwestern Nova Scotia, the first time the pest has been detected in Atlantic Canada. According to the federal agency, the hemlock woolly adelgid has been found in Digby, Yarmouth and Shelburne counties. When it attacks and kills hemlocks, the bug doesn’t actually destroy the wood. But regulations against selling hemlock infested with the pest — to prevent its spread in the province — make it illegal to use that wood, even as firewood. The Atikamekw of Opitciwan have obtained an injunction in Superior Court of Quebec that forces Groupe Rémabec to cease operation on the Opitciwan territory, located in the Haute-Mauricie region. 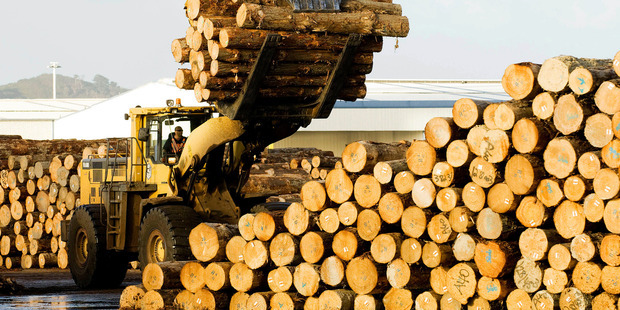 In the ruling issued Wednesday, Groupe Rémabec, which describes itself as a “pillar of the forest industry in Quebec” on its website, was required to cease activities as of Wednesday at noon and until September 15. The Atikamekw community filed a request in Superior Court in Montreal last Friday demanding that Groupe Rémabec cease all logging activities in an effort to preserve their forests. SANDY COVE, NS – Proper management of woodlots, even if it means cutting more trees, has the potential to create jobs and better trees, according to one woodlot owner and his group. Harold Alexander is a founding member of the Western Woodlot Services Cooperative Ltd., a non-profit group of woodlot owners working for other private woodlot owners. He, along with fellow member, founder and forester Patricia Amero, gave a presentation …where they discussed the possibilities proper woodlot management can offer. “It can create more jobs and steer people away from clearcutting at the same time,” said Alexander. There are more American chestnut trees in Ontario than researchers expected to find, but the number of new trees is not large enough to stop the decline of the species,University of Guelph researchers say. They conducted a tree survey that looked at changes in the American chestnut population since the last survey in 2001-2002. The results of the most recent survey will appear in the Sept. 15 edition of the journal Forest Ecology and Management, but has been published online. “We have a fair number of large trees, but they’re not reproducing enough to counteract the rate at which they’re dying,”Stephen Van Drunen, the lead researcher of the project,told CBC News. THUNDER BAY – With 149 active forest fires burning in the Northwest region, fire crews continue to work long, hard hours not only at suppressing fires in the field, but logistical services out of Thunder Bay. Those jobs are getting much more efficient thanks to the completion of a newly renovated Fire Management Headquarters and Provincial Logistics Centre in Thunder Bay. Ontario Minister of Natural Resources and Forestry, Kathryn McGarry, was in Thunder Bay on Wednesday to announce the completion of the headquarters located on Arthur Street. On the final day of July, the grizzly bears of the Greater Yellowstone Ecosystem lost the legal protection they’d held since 1975. With a population dwindling below 150, the bears were granted protection under the Endangered Species Act. Today, the bears’ management has been returned to the hands of Wyoming, Idaho and Montana, a shift that spurs questions about their fate. Indeed, the decision—championed by the U.S. Fish and Wildlife Service as a badge of successful population recovery—is receiving criticism from people in biological, cultural and economic spheres. A broad constituency … agree that the decision is not only premature and poorly planned, but also may have large scale ecological consequences. While the debate is deeply local and intrinsically bound to the Yellowstone ecosystem, it is a part of rising national tensions about managing the spaces that belong to the public, and how those spaces should be shared with wild inhabitants. The death of forestry worker Piri Bartlett has sparked strong calls from forest workers, the CTU and the community for more to be done about forest safety, and the Forestry Industry Safety Council wants ideas on it. …The safety council national safety director Fiona Ewing has extended the organisation’s condolences to Mr Bartlett’s family and to the families of the two other Gisborne men who have lost their lives in forest accidents this year. …“Now would be a good time for forest owners, managers and crew owners to check in with their people, and discuss how conditions are affecting their ability to work safely,” Ms Ewing said. 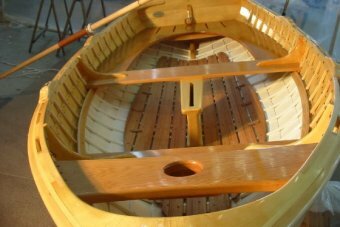 Tasmania’s special timbers industry is hopeful a new management plan will revitalise the sector, but environmentalists say the Government is allowing rainforests to be logged using untested harvesting methods. Earlier this year, the Tasmanian Government released a draft plan for the future of special species logging, due to be put into practice in October. For the first time, there is a clear picture of the volumes of celery top pine, blackwood, myrtle and sassafras that can be accessed throughout the state’s formal and informal forest reserves. It identifies more than 14 million cubic metres of timber, and sets out the governance of its logging. A group of B.C. firefighters criticized online last month for photos that appeared to show them ignoring the province’s campfire bans has been fined, officials say. The Ministry of Forests, Lands and Natural Resource Operations confirmed Wednesday that the group was fined $1,150, and three warning tickets were issued. The investigations were sparked by a Facebook post by user Rusty Clark, who uploaded several photos on July 11 of a group standing around a campfire. His post included photos of some of the men’s licence plate numbers, as well as a nearby sign indicating that campfires were prohibited. …But the wildfire service said there are no exceptions to the ban that would allow firefighters to cook food over a campfire. 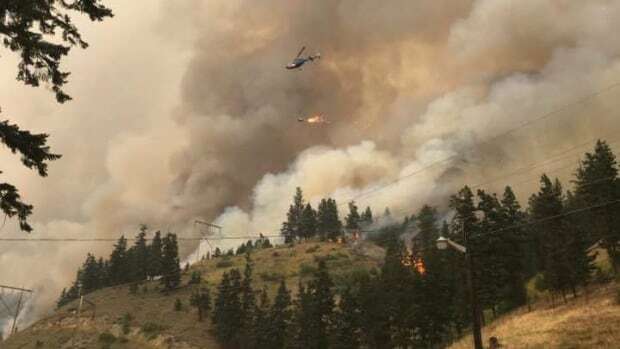 With progress being made to contain the largest fires burning in the Interior, B.C. 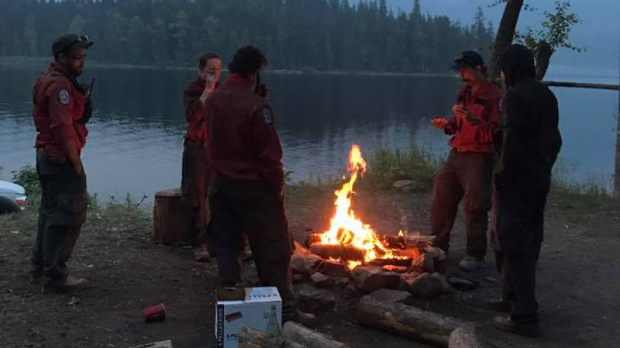 Wildfire Service officials have lifted the campfire ban for most of northern B.C. and removed the backcountry access ban for the Cariboo region. Campfire bans remain in the Vanderhoof Forest District, and the Nadina Forest District including Houston, Burns Lake and Granisle west of Prince George. Local fire departments should be consulted on their own restrictions, said Kevin Skrepnek, chief information officer for the service. Fires bigger than half a metre square remain off limits across the province, and the off-road vehicle ban remains in place for the Cariboo. …The Stanislaus National Forest is also conducting the controlled burns of single-tree fire resulting from lightning strikes, and allowing the low-intensity 163 acre Douglas Fire to continue burning through the forest understory, said Stanislaus National Forest Public Information Officer Diana Fredlund. Multiple lightning strikes from a thunderstorm system prompted at least 20 single-tree lightning strikes over the weekend, Fredlund said, with at least “a few more” caused since Monday. Fredlund said she was awaiting a full evaluation of the total fires from remote forest crews after the thunder and lightning storm likelihood diminished on Thursday. BROOKINGS — Cooler temperatures and coastal moisture allowed fire crews to make progress Wednesday fighting a large blaze in southwest Oregon and keep another conflagration in the central part of the state in check, authorities said. No new evacuations were ordered for the 156-square-mile blaze (404 square kilometers) in the Rogue River-Siskiyou National Forest near Brookings, just north of the California border, said Zach Ellinger, a fire spokesman. The blaze is burning the scars of a notorious fire from 2002 that scorched 800 square miles (2,071 square kilometers). After smoldering for more than a month, the lightning-caused blaze was listed as the top firefighting priority in the nation Tuesday after rapid growth last week. The largest B.C. wildfire season on record has emitted an estimated 190 million tonnes of greenhouse gases into the atmosphere — a total that nearly triples B.C.’s annual carbon footprint.According to Natural Resources Canada, the total could grow by another 20 per cent as the wildfire season continues. “Certainly these emissions are large — much larger than the emissions in B.C. from all other sectors,” said Carolyn Smith, a research scientist at the Pacific Forestry Centre. Since 2005, the province has emitted an average of 65 million tonnes of carbon each year. The Arizona Corporation Commission has ordered Arizona Public Service to evaluate forest bioenergy as part of its resource portfolio. A May memorandum from Commissioner Boyd Dunn instructed the opening of a docket to explore forest bioenergy, and its current role and impact in Arizona. The memo emphasized the important role forest bioenergy serves in maintaining Arizona’s forests, woodlands, and watersheds while creating energy for the grid. “Our history is riddled with examples of the devastating economic, cultural, and ecological impact of Arizona wildfires,” it stated.